Sheila is the National Real Estate Leader in Canada and a Partner in the Financial Advisory Practice. Over the past 25 years, Sheila has been involved in significant real estate advisory services, providing expertise to corporations, government, real estate companies, investors, pension funds and others. She was also responsible for Deloitte’s corporate real estate program that led the transformation of the firm’s office 1.7 million sf office portfolio across Canada. Sheila is renowned in her knowledge and expertise in commercial real estate, working with many clients in the public and private sector across Canada and around the globe. She is a frequent speaker at industry conferences and author of numerous articles about leading edge trends, ideas, innovation and opportunities. Sheila has provided extensive real estate expertise to corporations, government, real estate companies, investors, pension funds and others involved in the industry. 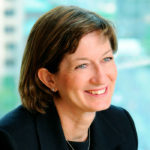 Prior to Deloitte, Sheila was Executive Managing Director with Cushman & Wakefield, leading a key Canadian business, and a partner in the global firm.